When Max Bobholz was 12 years old, he had a great idea. In 2012, the Green Bay teen was watching the Little League World Series when the Uganda team — the first African team to play in the tournament — caught his eye. "They were doing stories on how the team got to where they are and how they played at home," he said. "They showed that they all didn't have shoes or they were sharing gloves." Inspired by the team’s pride and ingenuity to play a game they loved without enough equipment, a lightbulb went off for Bobholz. "I saw that need and ... I wanted to send my equipment, my friends equipment in our garages that was just collecting dust ... so they could play," he said. At the time, Bobholz was also looking for a way to honor his own baseball coach, who passed away suddenly in 2012. "He always believed in us no matter how good we were ... he believed wholeheartedly that we could do great things," he said. "No matter if the kids can even hold a bat ... we believe that they can do it." The idea has since grown into Angels at Bat, an organization which has sent about 10,000 pieces of equipment to Africa, so far. The group is currently sending equipment to Kenya and Nigeria and working to expand to other African countries. Friends and family supplied the majority of the donations in the early days, then word of mouth carried it throughout his hometown, the state and now, onto a national level. 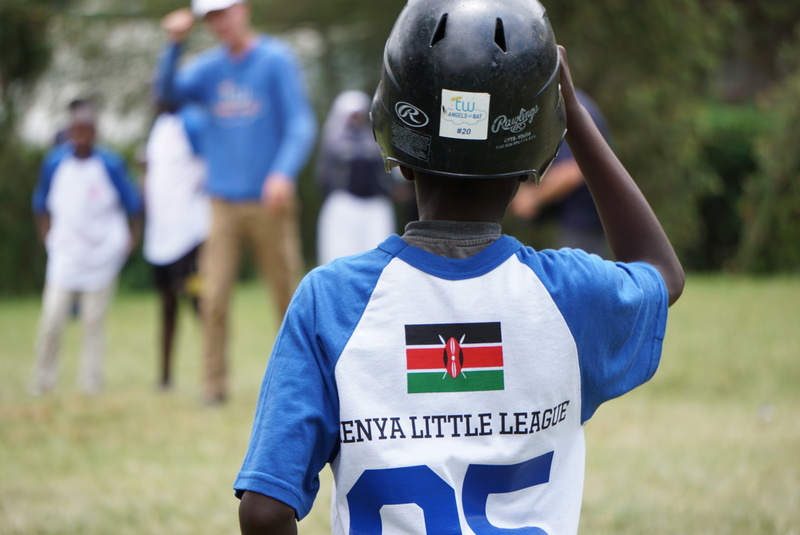 Along the way, Bobholz connected with an organization in Connecticut, American Friends of Kenya, that helps ship the baseball equipment to Kenya once a year. But the first time Bobholz sent the equipment to Africa, he was 14 and took 19 suitcases full of baseball equipment to Kenya with his mom and a couple of people from the local Rotary Club. He's been back four times. "The thing that stuck with me was that they were just like me," he said. "I was stressing about school ... and some of those same kids in my peer group in Kenya were having those same stresses. So that kind of made the world a lot smaller." Bobholz has loved baseball since he was a kid, the way it brings people together and pushes players mentally. "I hope they get what I got out of it," he said. "I was never really the best player on my team, ever, I was just a guy that liked to play the game." Today, the now 19-year-old is studying African Studies at the University of Wisconsin-Madison and learning Swahili to help close the language gap he’s felt on his trips to Kenya. And he has some advice for others who might want to follow in his footsteps: be determined. "Acknowledge a need, see a need, something catches your eye and then work for it," he said. "Don't let it stop, don't let the drive stop."